Stamps: Mae Freebie - Some Odd Girl. Digi Paper: 'Away We Go' by Zoe Pearn for Sweet Shoppe Designs. Copic Markers: E00, E11, E29, E31, E33, E35, E37, E50, R81, R83, R85, BG15, BG23, BG49, YR04, YR07, C1, C3, C5, C7, W1, W3, W5, W7. Tools & Embellishments: Adhesive gems, ribbon from stash and computer generated sentiment. sooooo sweet!!!! You've colored her wonderfully! Adorable - I've featured you on my blog - just awesome! Stacey sooooo cute, LOVE the cloud bg!!!! What a darling image too! 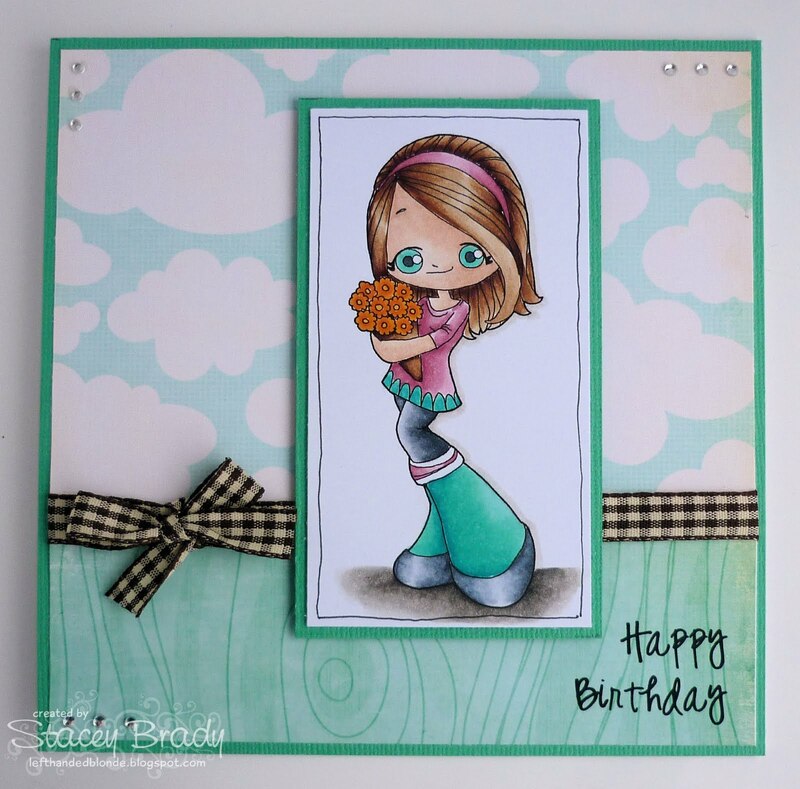 Love your card, your shading is always perfect! !